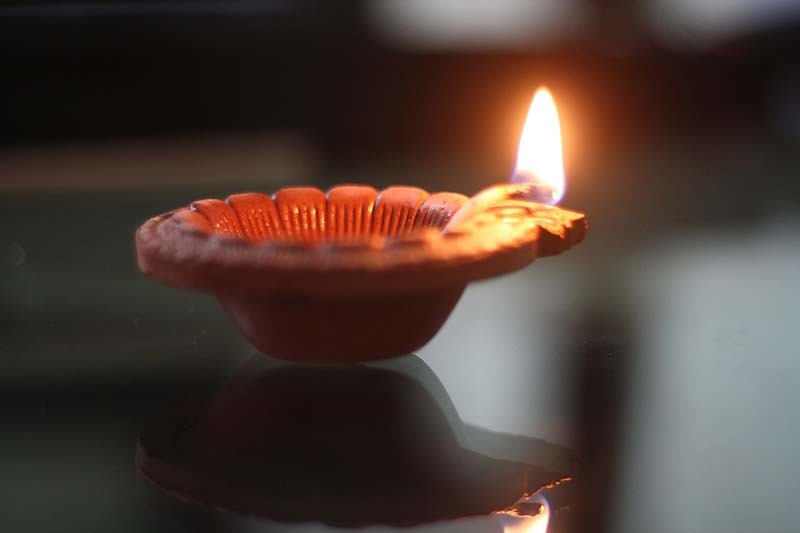 Diwali is derived from the Sanskrit word Dīpāvali, formed from dīpa (light or lamp) and āvalī (row or series). 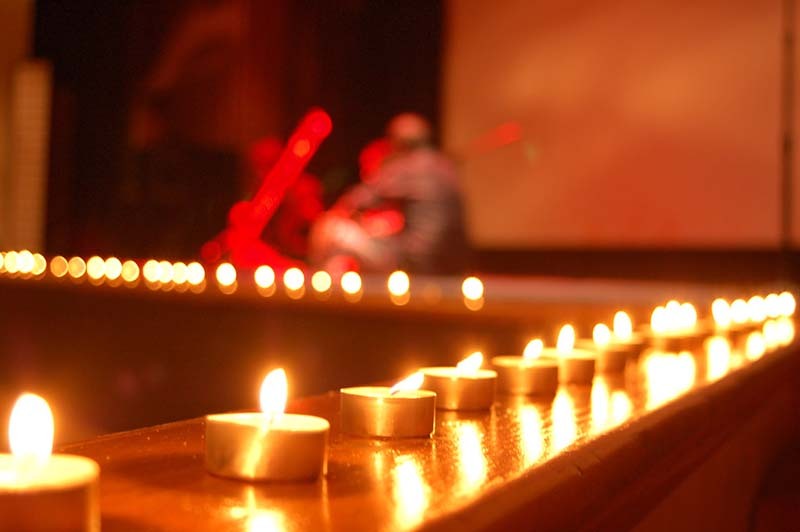 Dipavali or Deepavalli thus means a “row” or “series of lights”. Its celebration include millions of Diyas and lights shining on all corners and top of houses, outside doors and windows. Even shops and community centers are completely covered in light. 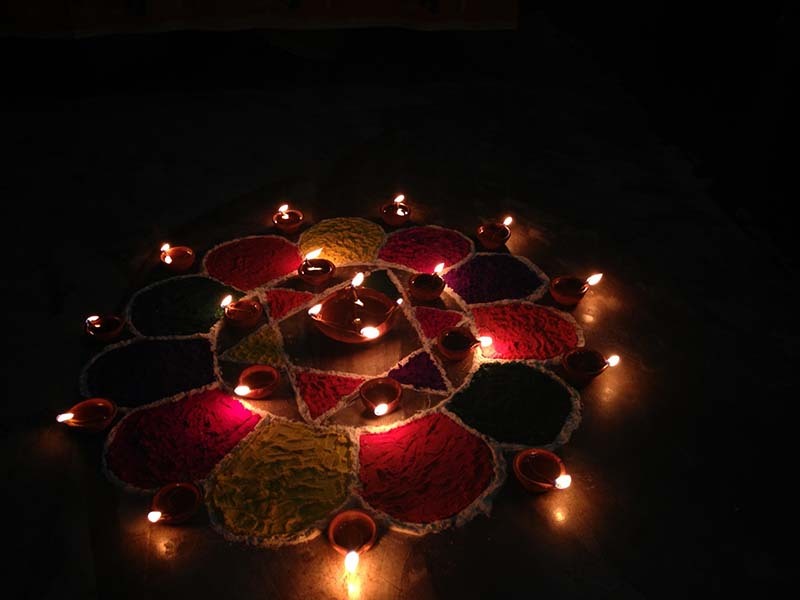 There are however many different contexts for Diwali celebration. Also it is not only celebrated by Hindus but also Jains and Sikhs. Every religion has a different history and background of celebration. However they all are celebrated on the same day. According to other legend, Pandavas from the Mahabharata returned to their homeland after 13 years and the day is celebrated to commemorate their return. Diwali for Sikhs marks the Bandi Chhor Divas, when Guru Har Gobind freed himself and some Hindu Rajahs, from the Gwalior Fort, from the prison of the Mughal emperor, Jahangir, and arrived at the Golden Temple in Amritsar. Ever since then, Sikhs celebrate Bandi Choorh Divas, with the annual lighting up of Golden Temple, fireworks and other festivities. In the post-Guru Gobind Singh era, Sarbat Khalsa used to meet on Diwali and Baisakhi to discuss important issues concerning Sikh community. Diwali has special significance in Jainism. Mahavira, the last of the Tirthankar of this era, attained Nirvana on this day at Pavapuri on 15 October 527 BCE, on Kartik Krishna Amavasya. According to the Kalpasutra by Acharya Bhadrabahu, 3rd century BC, many gods were present there, illuminating the darkness. Therefore, Jains celebrate Diwali as a day of remembering Mahavira. On Diwali morning, Nirvan Ladoo is offered after praying to Mahavira in all Jain temples all across the world. Gautam Gandhar Swami, the chief disciple of Mahavira achieved omniscience(Kevala Gyan) later the same day. The Newar people in Nepal, who are Buddhist and revere various deities in the Vajrayana tradition, celebrate the festival by worshiping Lakshmi. 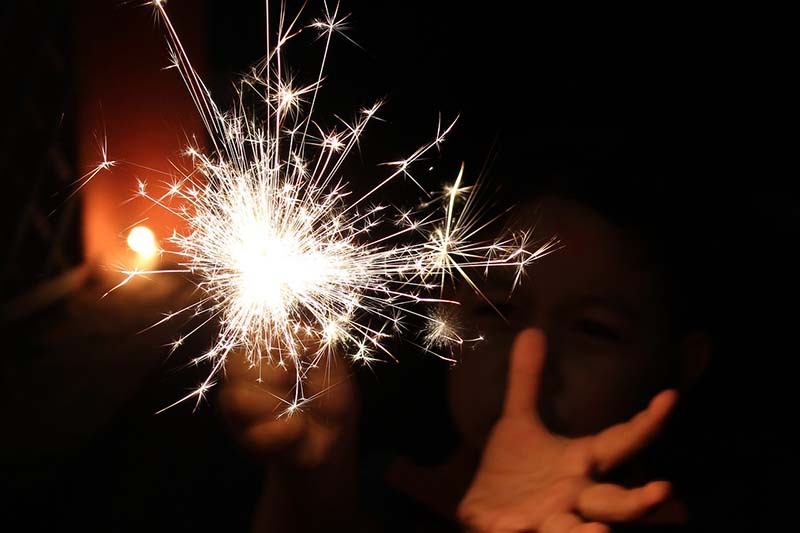 The Newar Buddhists in Nepalese valleys celebrate the Diwali festival over five days, in the same way and on the same days as the Hindu Diwali-Tihar festival. 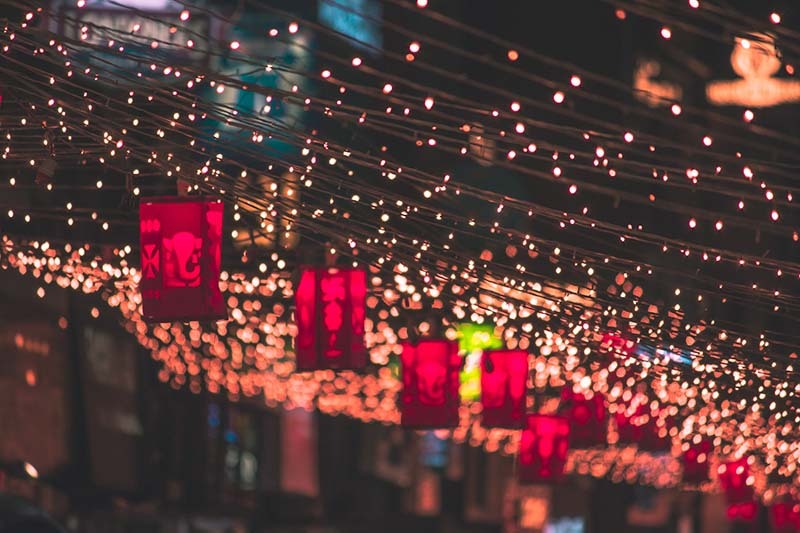 According to some scholars, this traditional celebration by Newar Buddhists in Nepal, involving Lakshmi and Vishnu during Diwali, reflects the freedom granted in the Mahayana Buddhism tradition to worship any deity for their worldly betterment. It is celebrated on a new moon night sometime in the months of October and November. 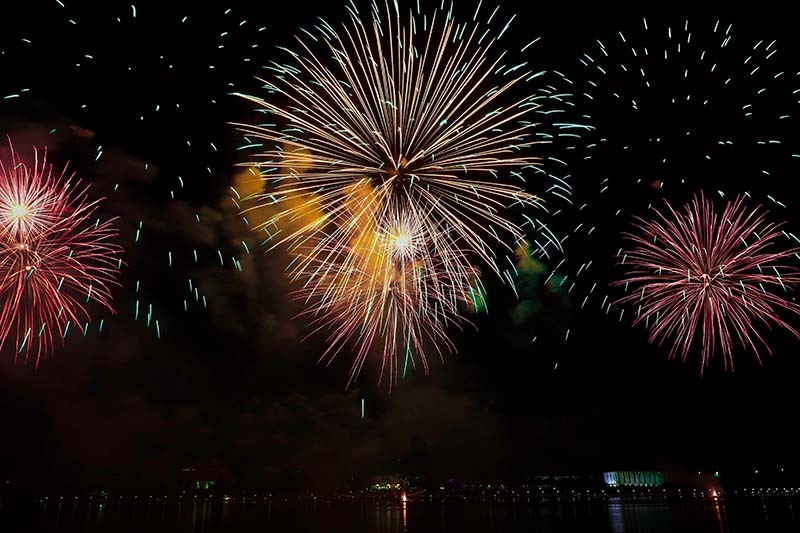 The exact day of the festival is decided according to the Hindu calendar. People clean their homes and decorate them for the festivities. 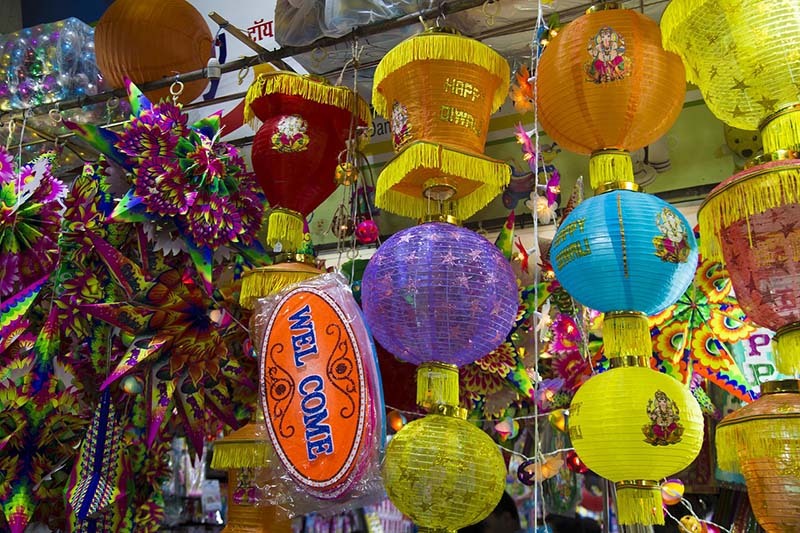 Diwali is one of the biggest shopping seasons in India and Nepal. People buy new clothes for themselves and their families, as well as gifts, appliances, kitchen utensils, even expensive items such as cars and gold jewelry. People also buy gifts for family members and friends which typically include sweets, dry fruits, and seasonal specialties depending on regional harvest and customs. It is also the period when children hear ancient stories, legends about battles between good and evil or light and darkness from their parents and elders. Girls and women go shopping and create rangoli and other creative patterns on floors, near doors and walkways. Youth and adults alike help with lighting and preparing for patakhe.